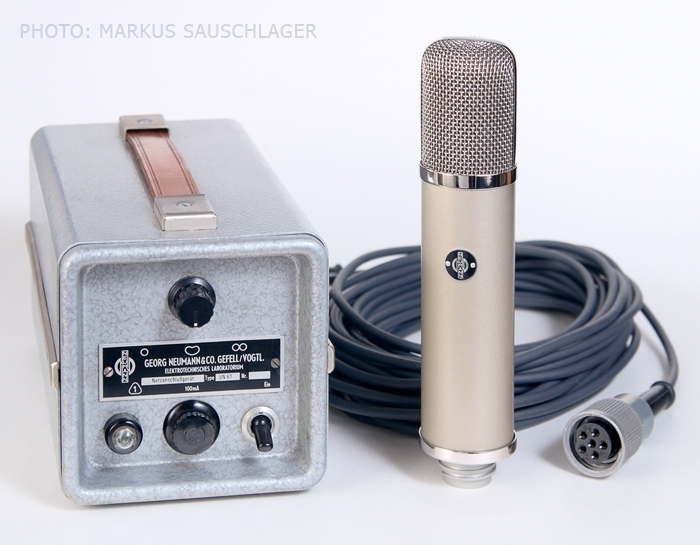 The Neumann/Gefell UM 57 was a large-diaphragm tube condenser microphone manufactured by the Neumann company of Gefell, Germany, currently known as Microtech-Gefell. The mic used the Gefell company’s famous M7 capsule. This was a dual-diaphragm, center-terminated capsule with a PVC (plastic) diaphragm. 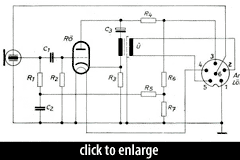 It supported three polar patterns via a switch on the power supply: Cardioid, Omni, Figure of 8. 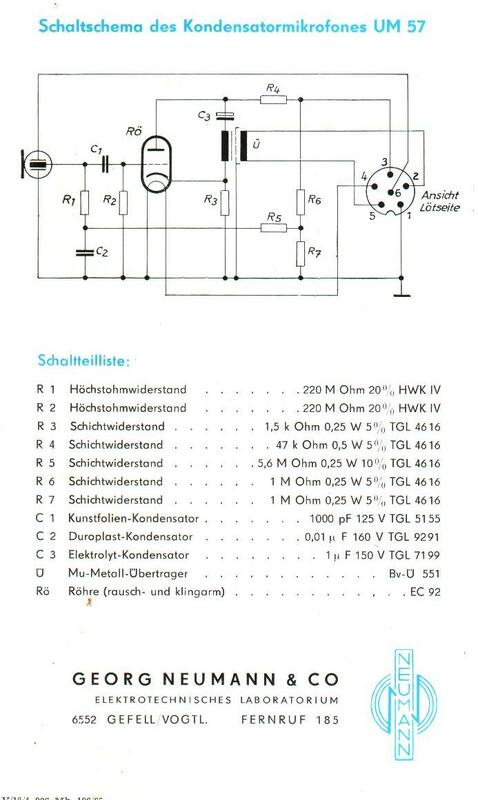 The amplifier circuit is nearly identical to the Neumann/Gefell CMV 563, another tube mic manufactured at the Gefell factory. Both used the EC92 triode. The UM 75 used an EF86 pentode. The EM 75 used an updated circuit, similar to the UM 92.1 S (itself a modern reinterpretation of the UM 57). The UM 75 used a transformer from AMI/Tab-Funkenwerk. 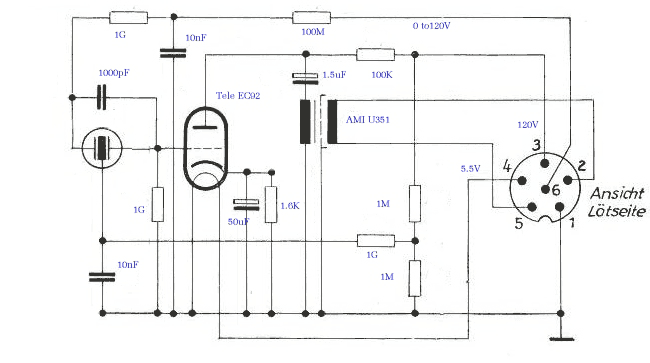 The UM57’s transformer was made by Gefell; the model number is T551. These and other circuitry changes are described in more detail in a forum post to PSW; see the sidebar link. A 110V version of the UM 57 was created for the North American market; this model was called the UM 67. 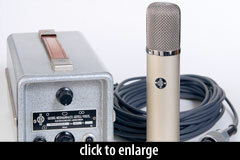 The Neumann UM 57 is also known as: UM57. The mic was released in 1957.